Are you ready for the latest Agile Adventure? Management is ready to disband your new agile team and outsource your project. Can you save The Dream Team? The Dream Team started their journey 18 months ago. Since then, life has become a nightmare. Progress has ground to a halt. Morale is low. Quality has become taboo. You have five days to figure out how to get the team back on track. There will be conflict and maybe tears. One thing is for sure: there will be plenty of tough decisions to make. Inspired by a classic gamebook series, this fun and interactive story has eight different endings designed to enrich and put your agile development knowledge and experience to the test. 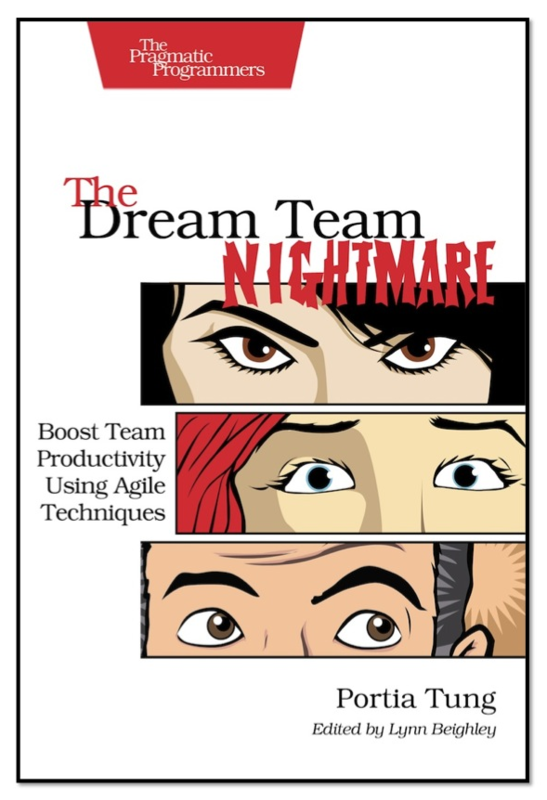 Packed with familiar scenarios an agile team faces every day, The Dream Team Nightmare offers you the chance to see what would happen if you could do things differently so you can change the way you do things for real with confidence. Combining practical team-building exercises with effective facilitation and Systems Thinking, by the end of the book you’ll be ready to rescue projects in trouble, and get new projects off to a better start. Begin your Agile Adventure here. You are currently browsing the Selfish Programming archives for October, 2013.